Most of the times organizational executives wonder why should they choose Salesforce as a project building platform. They are in the flux of estimating costs and weighing the pros and cons of this CRM software named Salesforce! Here we are going to throw light on basically what is Salesforce and what are the advantages of this software tool. Salesforce is an online CRM tool that operates on cloud. Salesforce is best known for its Saas (Software as a Service) and PaaS (Platform as a Service). It eliminates the need of maintaining data separately on excel sheets and other areas as users can manage each and every detail on a single platform. Salesforce was founded in 1999 by former Oracle executive Marc Benioff. The initial sales automation software was written by Parker Harris, Dave Moellenhoff, and Frank Dominguez who worked previously at Clarify. In June 2004 the company went public on The New York Stock Exchange under the symbol CRM raising 110 Million Dollars since then the tales of its acquisitions; expansions and ever increasing revenue are endless. 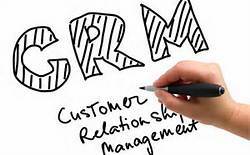 Customer relationship management (CRM) is a model for managing a company’s interactions with current and future customers. It involves using technology to organize, automate, and synchronize sales, marketing, customer service, and technical support. Salesforce being the pioneer in providing web based CRM. Its CRM services can be divided into broad categories such as Sales Cloud, Service Cloud, Data Cloud (including Jigsaw), Collaboration Cloud (including Chatter), and Custom Cloud (including Force.com). The Service Cloud: The Service Cloud provides companies with a call centre-like view that enables them to create and track cases coming in, and automatically route and escalates what’s important. The Salesforce CRM-powered customer portal provides customers the ability to track their own cases, includes a social networking plug-in that enables the user to join the conversation about their company on social networking websites, provides analytical tools and other services including email, chat, Google search, and access to customers’ entitlement and contracts. Force.com platform: Salesforce.com’s platform as a service (PaaS) product is known as Force.com. 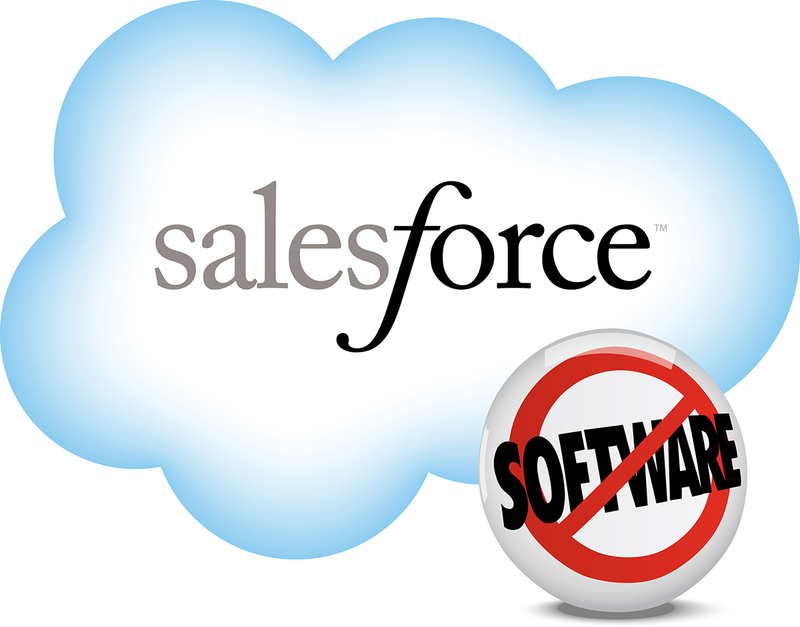 The Force.com platform allows external developers to create add-on applications that integrate into the main salesforce.com application and are hosted on salesforce.com’s infrastructure. These applications are built using Apex (a proprietaryJava-like programming language for Force.com) and Visual force (an XML-like syntax for building user interfaces in HTML or Flex). Work.com: Work.com, previously Ripple, is a social performance management platform. It is marketed as a solution for sales performance, customer service, marketing, and as a service that can be employed by human resource departments for broad use across an organization. Work.com service facilitates collaboration and shared contribution to individual, team, and organizational goals, and facilitates the exchange of feedback anonymously and publicly between peers and managers. Ripple was acquired by salesforce.com in 2011] and was re-branded as Work.com in September 2012. Configuration: Salesforce users can configure their CRM application. In the system, there are tabs such as “Contacts,” “Reports,” and “Accounts.” Each tab contains associated information. For example, “Contacts” has standard fields like First Name, Last Name, and Email. Configuration can be done on each tab by adding user-defined custom fields. Configuration can also be done at the “platform” level by adding configured applications to a Salesforce instance that is adding sets of customized / novel tabs for specific vertical- or function-level (Finance, Human Resources, etc.) features. Web services: In addition to the web interface, Salesforce.com offers a SOAP/RESTWeb service API that enables integration with other systems. Mobile support: One of the coolest features of salesforce is the support for mobile devices, thanks to the application Salesforce1 where some important functionality of its CRM can be accessed through mobile devices (currently the supported devices include iPhone, Blackberry, Android and Windows based smartphones). Greater lead generation: Since the software is in cloud so it frees the team from cumbersome data entry, administration and security checks. Thus their mind is free to concentrate on increasing leads, closing deals and acquiring expertise. Provides greater client satisfaction: It enables the client to have deep analysis into crucial sales and client data as the Salesforce CRM software takes the responsibility of streamlining and automating the data processes. Enhanced service and support facility: With Salesforce CRM one can collect customer support requests from different channels, assign cases to the appropriate team or agent, easily recall the best solutions to customer problems, escalate support cases when necessary, direct customers towards web-based solutions, conform to service-level agreements, and identify areas where service can be improved. State of the art CRM facility: Salesforce instantly updates your business processes, combining them with people and technology to reveal more about your customers and their behaviour with deeper analysis and insight into critical sales and customer metrics. Reduced capital investment for IT infrastructure: It automates the entire database hence there is no need to invest a high capital in the IT Infrastructure.Contemporary businesses are turning to Salesforce India for world-beating applications that manage every lead, event and opportunity, making sure that any interaction with new or existing clients is successful and has been recorded—all without having to invest in software that is expensive to install and maintain. With Salesforce.com’s pay-as-you-go model, the price of success is enticingly reduced. Quicker Return on investment: As with Salesforce the need for high investment in IT Infrastructure, maintenance and streamlining is eliminated the faster return on investment is assured. Ensures quick deployment: The time period of web based CRM implementation usually varies from few weeks to months as compared to traditional CMS tools that takes 12 months or longer. Easy customization: It has a very easy point and click interface that even not technical users can very easily understand and adapt. Unlimited scalability: Salesforce has a multitenant approach without any instance of the software thus implementation can be scaled quickly without high cost. More Accessibility: Salesforce applications are accessed via internet implying that their functionality can also be accessed from anywhere there is internet availability as opposed to traditional networks one may or may not have accessibility if he is working outside the network. Real time results: Salesforce gives clear indications of lead conversations in real time so one has the vivid idea of where he is succeeding and can multiply this success again and again. Going mobile: Salesforce automation software is compatible with most of the mobiles and especially with the mobile app Salesforce1 now anyone can access vital information from any part of the world. Facilitates business development: Salesforce software helps to identify risks and eliminates wastage as it reduces the administrative costs and with the contracts management feature one can approve and renew contracts sooner and with tracking systems one has better control over terms and conditions. Ultimately one is left with more time to spend on productive activities. Broad applications of Salesforce: the biggest advantage with Salesforce is that it can be used by any organization from any software provider to any school. It offers number of usage from sales management and forecasting to product management and workflow integration. Strong customer relationship: CRM offers highly interactive tools that enables sales force to have accurate insights into buyers needs thus the sales cycle is shortened and number of deals closed is increased. With the above advantages one can easily be convinced that adopting Salesforce software is a good idea. Off course the CRM software falls into the preview of some criticisms like it has an over simplified interface, customization tool kit can be cumbersome to operate even with seasoned administrators, limited marketing functionality but these demerits are vastly outshined by its merits.